Have you heard of Mudfest? 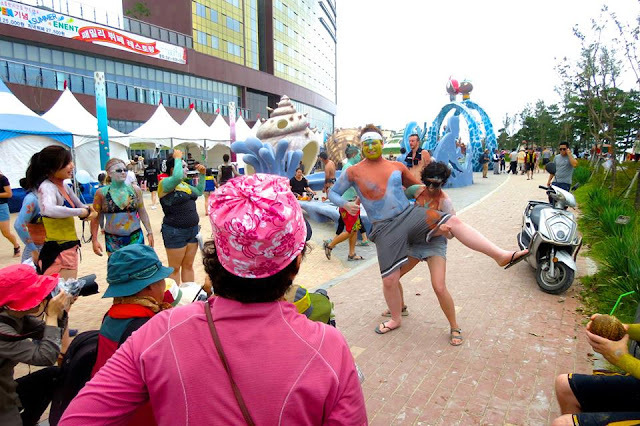 According to boryeongmudfestival.com, the annual mud festival held at Daecheon Beach in Boryeong, Chungcheongnam-do attracts approximately 2.5 million tourists during its two-week celebration of all things wet and dirty. 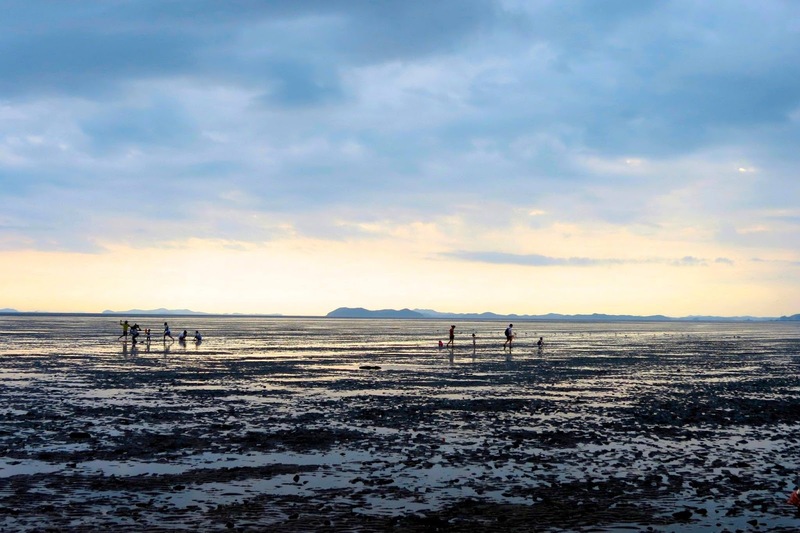 The GPWT team went down to Boryeong weekend before last and got muddy! Here's what our writers had to say. Photos by Young-Gun. You gotta check this out if you have the chance. I didn't go last year. The thought of hanging out with a bunch of sweaty foreigners on some random beach triggered my gag reflex. Why on earth would I want to spend my time with obnoxious, dirty waygooks when I could be at home in the dark of my room brooding over a typewriter and weeping about the injustices of humanity? All I knew about the mudfest was a slideshow of pics and video clips Young-Gun showed me a little while ago. After watching them I thought mudfest might just be a good time. Ashley booked a tour through Adventure Korea and our group ended up on a secluded beach where we did mud training: stretches, mud soccer, mud wrestling, and of course, a giant group mudfight. That night we went out onto the beach, saw fireworks, and trotted the night away at some of the numerous beach dance parties. We met so many interesting people and ate some delicious food on the shore. I rose with the sun, had a final meal with some friends, and took the bus home in appreciative silence. Colors, smells, music, cameras, eye candies, beach, mud, camp, beer, gray people and randomness. All the potentials of the best things and the worst things. A lot of things can happen in a single day out there. How to dance with it is up to you. It's my 4th year this year. In my first year, I spent 5 days out there with 200 bux and my body was completely corroded by the time it was finished for how much fun it was sucking up. It was a very satisfying campaign. Last year, I got crazy with overwhelming fun that nearly got me killed. Roofied bottle of beer, and more fun than my first 5 days put together in a single day, was involved. This year, I went there prepared and it was just simply beautiful all the way. None of the unexpected unpleasantry happened while unexpected pleasantry kept happening. Having full control of myself while participating a massive festival such as this was a great fun in its way.